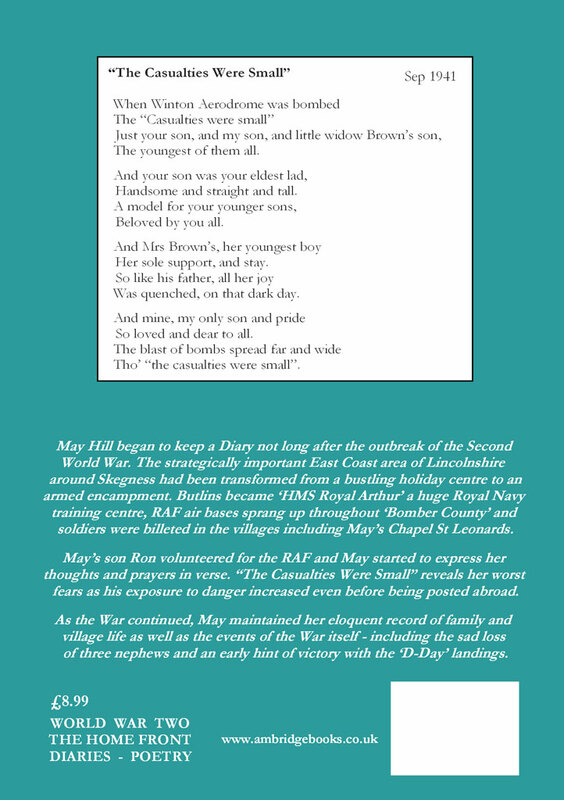 You have reached the website location of Ambridge Books, dedicated to the original writing of May Hill – Home Front Diaries and Poetry – prompted by the Outbreak in 1939 of World War Two. The area of Lincolnshire (‘Bomber County’) around May’s village had quickly become a training ground for men of all services: RAF, Army and Navy (HMS Royal Arthur at ‘Butlins’, Skegness) as well as home to many evacuees. The first open publication in 2009 was fittingly around the 65th Anniversary of D-Day (6th June 1944), ahead of the 70th Anniversary of the British Declaration of War with Germany, by Prime Minister Neville Chamberlain (3rd September 1939). If you enjoyed ‘Nella Last’s War’(*) you must read May Hill’s ‘The Casualties Were Small’. www.ambridgebooks.co.ukThe selection of Diary entries in this compilation has been chosen to include those which reveal the specific experiences and events which inspired over twenty poems. 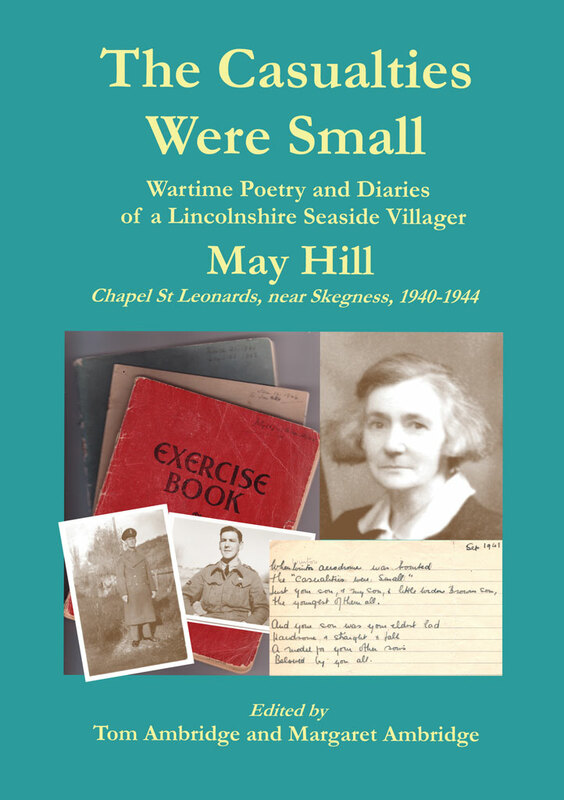 May’s own writing is supported by additional explanatory notes and illustrated by over thirty photographs from the collections of the family and others from the village. NEW – Click on DIARIES BLOG for NEWS of Kindle volumes of ‘An RAF Mother’s WWII Diary Blog’ by May Hill ! !